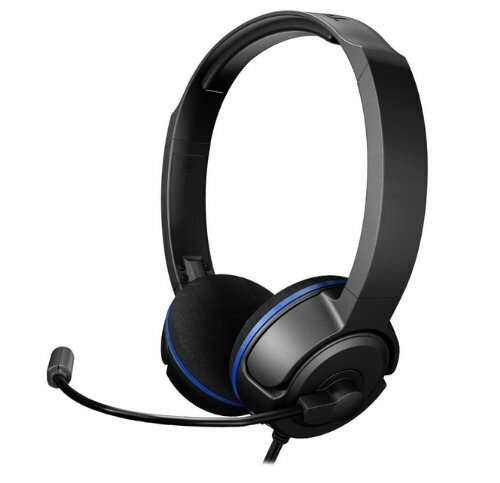 The Ear Force PLa is the ideal headset for Playstation 3 gamers seeking a more immersive experience without breaking the bank. Unlike basic communicator headsets that only let you hear chat in one ear, the PLa combines high-fidelity, amplified stereo game audio and crystal-clear communication in a sleek and compact design. The PLa also features independent game and chat volume controls and sound-isolating ear cushions, allowing you to personalise the audio and block out distractions. If youre serious about gaming, then get serious about the sound. Step up to the PLa and experience game audio like never before. Features Amplified Audio Enhances game sounds for a more immersive experience. Bass Boost Built in Bass Boost adds depth and realism to the game audio. Microphone Monitor Lets you hear what youre saying while talking. USB Powered No batteries required. Independent Volume Controls Allows for personalised balancing of game and chat audio.